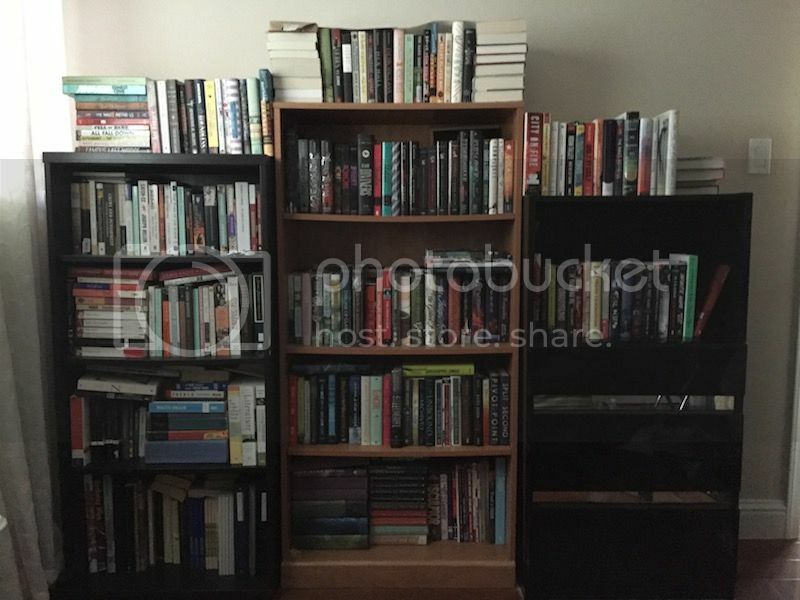 The Shelfie Hop · Bookshelves Galore! 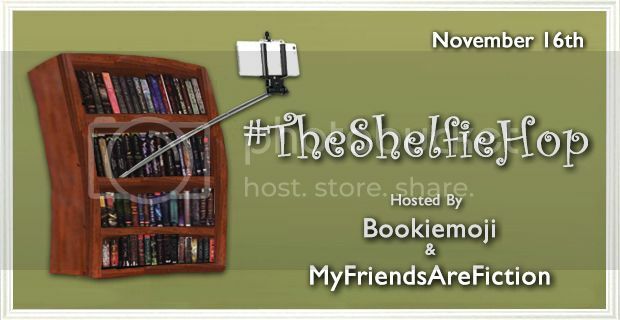 The wonderful Kristen @ My Friends Are Fiction + Crystal @ Bookie Emoji are hosting this awesome hop where people showcase their shelves because who doesn’t love looking at people’s shelves? I’m not a fan of my shelves because they’re the same color or size, but hey, if they get the job done, it’s fine, right? And here are those sturdy shelves.